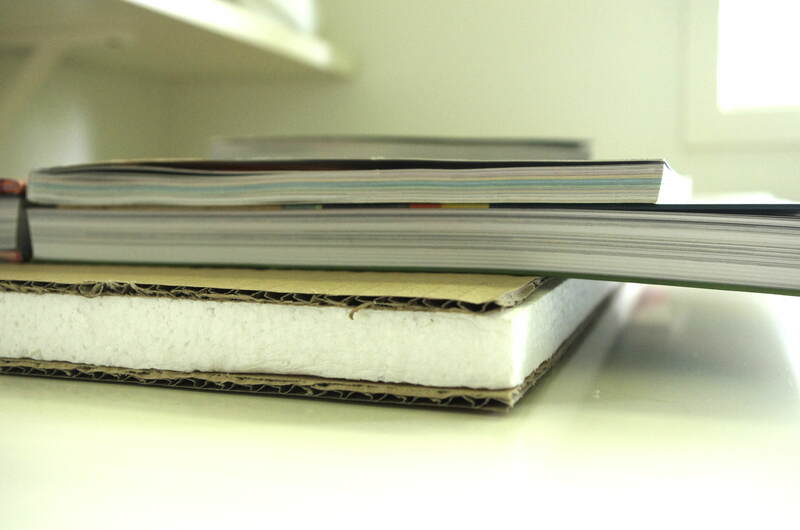 Take a piece of polystyrene around 60 x 40 x 2 or 3 cms (or whatever size you want) to use as the core of the board. I was lucky as I had a piece of polystyrene packing in the garage measuring 59cms x 39cms x 2cms. Once the glue has dried cover with batting which will need to be bigger than the board by about 12cms so that it can wrap around to the back. Use PVA or white craft glue again and spread out evenly. I made a spreader with an offcut of cardboard – it went soggy with use but lasted long enough to finish the board. You could use different size scraps of polystyrene as long as they are the same thickness as they will be held together by the cardboard. The same applies to the batting, any scraps can be stuck to the cardboard so all those strips cut off after basting can be put to good use – Re-use is better than recycling! It works fine with EPP projects too when you can’t decide which way round your fussy cut hexagons look best, or which centre to use in your flowers. Looking at the orange flower I decided I need more fabric to make them both!